We have just received the latest edition of the newletter Omariana, produced by Jos Coumans of the Netherlands Omar Khayyam Society. This is an invaluable sources of information on new publications and other developments relating to Omar Khayyam and his Rubaiyat. The newsletter highlights new translations, books, articles, digital productions and more. Among the items in this edition, which were new to us, are a new translation from the Persian, by Amir Ali Siassi, and analyses of Rubaiyat translations by Swedish and French researchers. 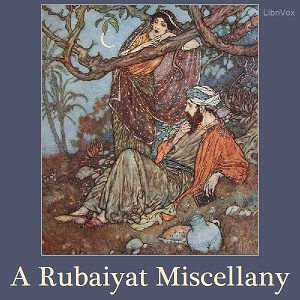 The newsletter also highlights some new musical settings of parts of the Rubaiyat. Overall, Omariana continues to document the way interpretation and analysis of Khayyam’s verses remain an important and live area of artistic and academic interest. The newsletter is available free from Jos Coumans and you can subscribe to it via the following link omariana.nl. Our thanks to Jos for sharing his extensive finds with others through the newsletter.